This is the groundbreaking cult classic by the Legendary Grandmaster Bent Larsen and the noted openings theoretician Steffen Zeuthen. 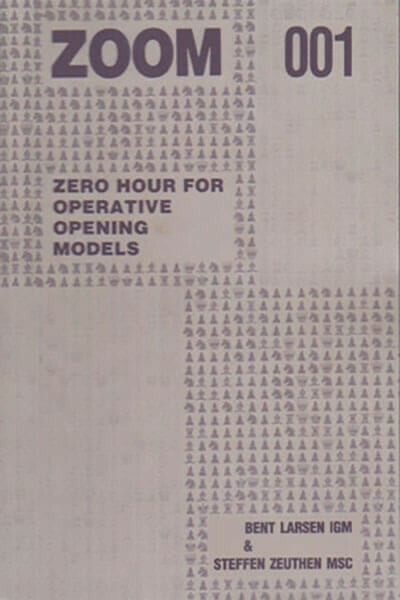 Zoom 001 stands for Zero Hour for Operative Opening Models. The principal idea behind Zoom 001 is the creation of "pattern knowledge" of typical middle game/endgame structures—one of a grandmaster's essential qualities—cultivated through the use of the Grunfeld and Catalan openings. Using twenty modern Grandmasters' games, the authors show how these structures typically arise. Included are games by Andersson, Botvinnik, Fischer, Korchnoi, and of course Larsen. By using complete games instead of variations that might be outdated by the next tournament, Larsen and Zeuthen demonstrate that pattern recognition is a timeless skill. By recognizing these typical patterns, you will not only gain a feel for the position, but will be able to effectively form a game plan that will allow you to carry you to won positions.